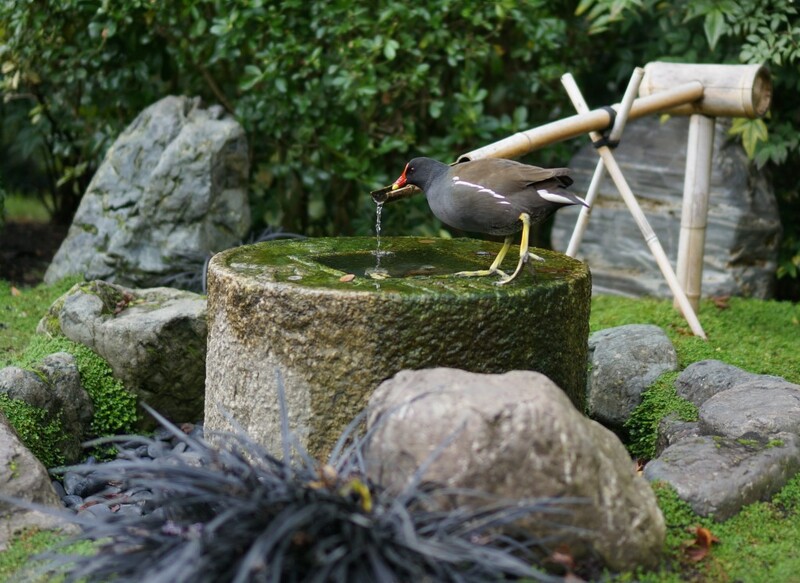 Whenever I visit London, I’m tempted to buy a giant picnic hamper, load up on provisions, and find a perfect patch of grass— maybe in Holland Park, one of my favorite London parks. A Japanese maple tree in the zen-like Kyoto Japanese garden in Holland Park. A bamboo fence Holland Park’s Kyoto Garden. The autumn light in Holland Park, London. A joyful dog runs off leash in the dog friendly section of Holland Park in London. Path to Kyoto Garden, the Japanese garden in Holland Park, London. Autumn leaves in Holland Park, London. A bit of tropical foliage in Holland Park, London. 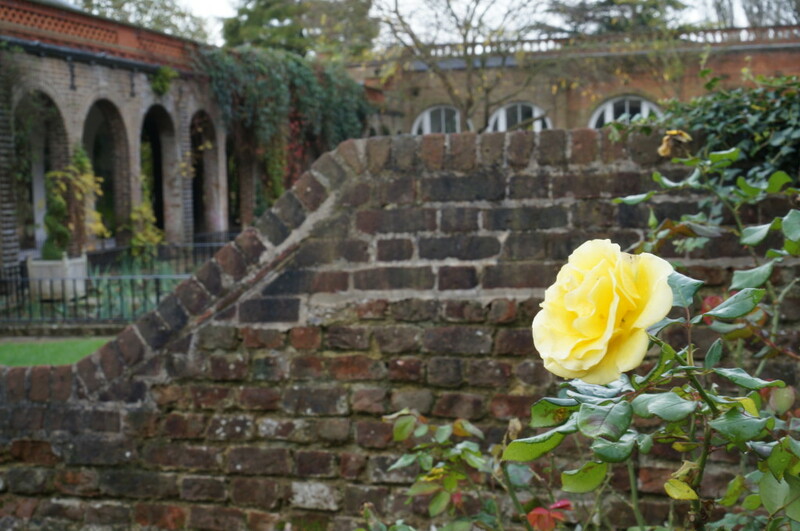 Just a typical scene from London’s gorgeous Holland Park. Fortnum’s luxury hamper department is the stuff dreams are made of. I’ve probably read too many Jane Austen novels, but to me, English picnics have a certain romance about them. There is something about fine china, cloth napkins, real silverware and crystal glasses that makes sitting on the ground a decadent experience. There is no better place to daydream about the perfect English picnic than at Fortnum and Mason. 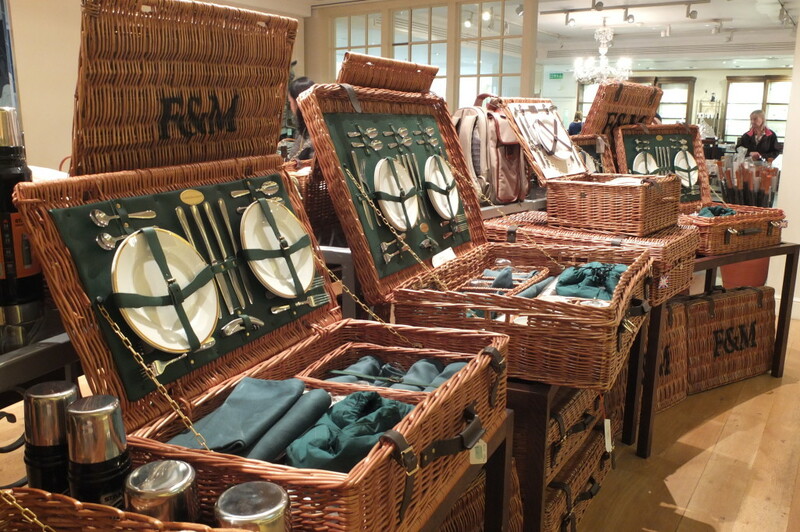 The luxury hamper department at Fortnum and Mason– where you can buy a fully-loaded lidded hamper for a mere 800 £. Some of Fortnum’s hampers come stocked with their signature blue bone china. This picnic hamper has some serious branding going on, but I did like how the hamper had a lid on either end. 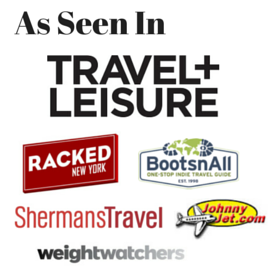 While it might be fun to dream of a luxury British hamper, it might not be the most practical purchase for a traveler. 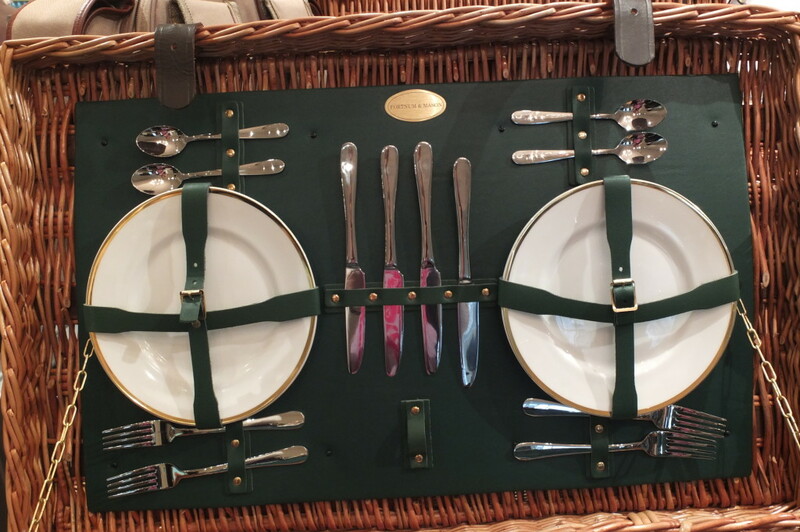 Picnic hampers are expensive, running hundreds of pounds (I spotted one at Fortnum’s with an 800£ price tag). This might make sense if you are a frequent picnic-goer (for example, I can see these hampers fitting in beautifully at an East coast steeplechase event like Virginia’s Gold Cup). Picnic hampers are gigantic— I can’t imagine that you could get these hampers home on your own, so factor in the expense and hassle of shipping. 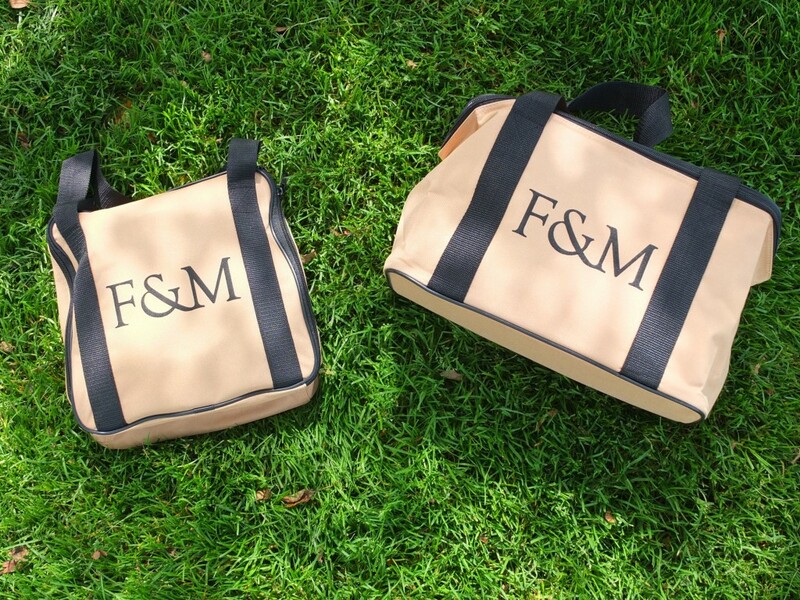 Together this Fortnum and Mason picnic set and cooler bag came out to a very reasonable 40 £ or so. The solution? I picked up a more pack (and wallet) friendly version of Fortnum’s luxury hamper. 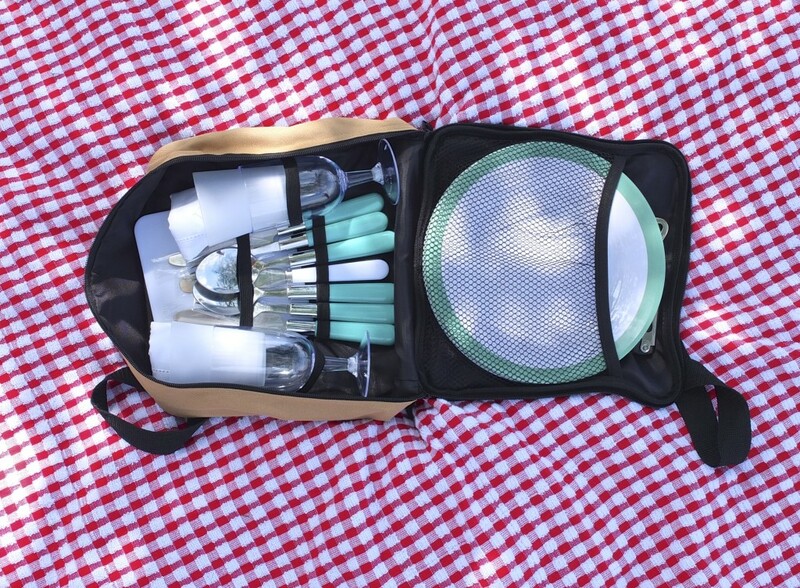 This fold-up picnic set sacrifices china for plastic, but on the plus side is very lightweight and doesn’t take up much room in your suitcase (or back home, I have no idea where I would store one of the giant picnic hampers). While the picnic may have been fake, the wine was real and enjoyed by my photographer and me on the grounds of Topsmead Park in Litchfield, Connecticut. Since I didn’t have time to put together an actual picnic prior to this post, I staged this picnic in a local park back home. 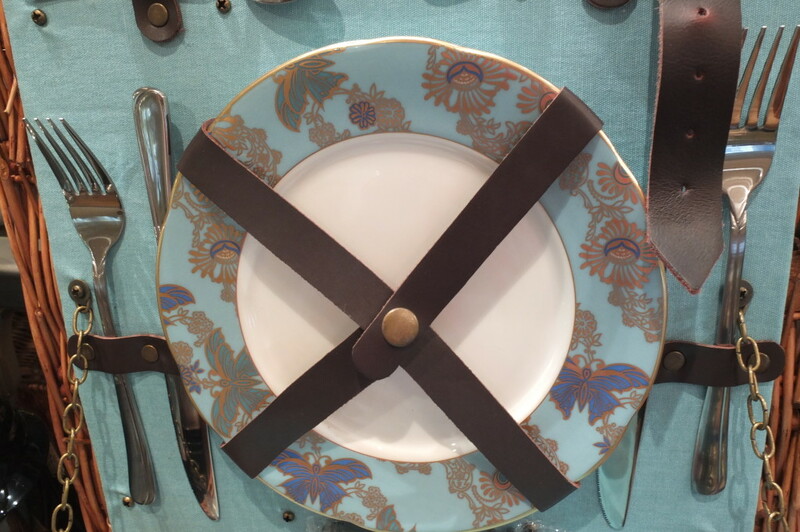 But I hope to put my Fortnum picnic set to actual use this spring, and fill my cooler bag with a batch of my favorite southern-style chicken salad,– it would be just the right size for a picnic in Central Park while listening to the symphony or on the lawns of Limerock park while watching a Grand Prix race. What to Buy: A gigantic luxury hamper (aka picnic basket), stuffed with fine china, or a more modest zip up picnic cooler set. What to Know: While at Fortnum’s check out their stellar biscuit tins and first floor goodies. 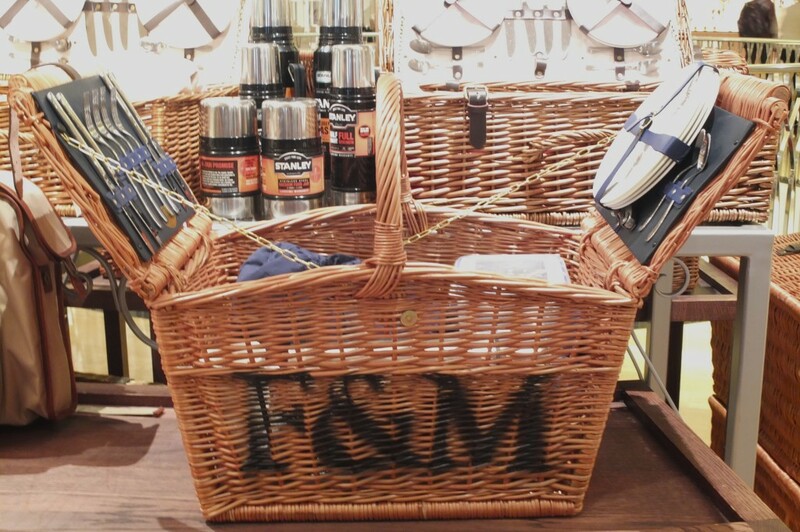 Do you love picnics or have your own grand English hamper? Tell us about it in the comments below! i love those picnic hampers. I would make room in my closet for one if not for the hefty price tag and the hassle of getting it home. never imagined that picnic could be so romantic. After seeing the pics, one can imagine why spending time on the grass in such environs either alone or with folks you love can be such a big deal. Beautiful pics!